The Tarte Summer 2015 Collection is now available at Sephora.com. Is the Showstopper palette an Ulta exclusive? **shrieks in delight** Now – if it will just stay there til the upcoming sale… Wonder if I put it in my basket if it would stay there? I want this one soooo badly… It’s so pretty!! thanks Muse – I was wondering if it was going to be on Sephora or just on tarte!! my pleasure my dear! ALSO at Ulta.com today 🙂 It’ll def be around for the sale I’m sure! I must be out of the loop…what sale????? Any word on rumored dates? Last year it started on 3/31, so I am hoping for 4/1 this year? 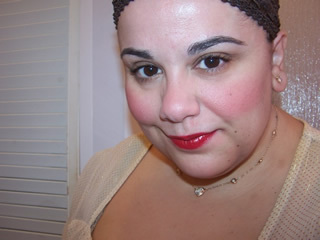 I need that park ave princess lipstick before I go to peurto rico on vacation next week! don’t quite me it was posted on christine’s site briefly as April 15th? As I am unable (unwilling?) to wait for the sale, my credit card is taking a beating this week. I may have to freeze it in a block of ice. Or maybe I should stop visiting your site so often. That probably won’t happen but you are such a bad influence on me; tempting me with all the new pretties. Need to see some swatches of new blush and the round disc palette. Thanks Muse. Bought this as soon as it launched on Sephora’s website. Beautiful, but the blush is ORANGE!!! Have to be really careful, high pigmentation.